When it comes with my skin I am very careful about it I am talking about the product that I apply on my skin It well be irritate if I put it without knowing that applying with my skin is sensitive I keep browsing the web then I found the web for skin care products I have a friend who telling me that she like Merlot Skin Care product because it has a grapes natural Cream. de Vin is made of natural red grape seed polyphenols. Its sensational antioxidant properties help inhibit the aging process. Merlot’s signature product absorbs quickly, and work on my skin as the perfect primer before I applying makeup. I am happy that I got the Merlot skin care product last Friday. It include the Moisturizer anti-wrinkle and hydrating toner. 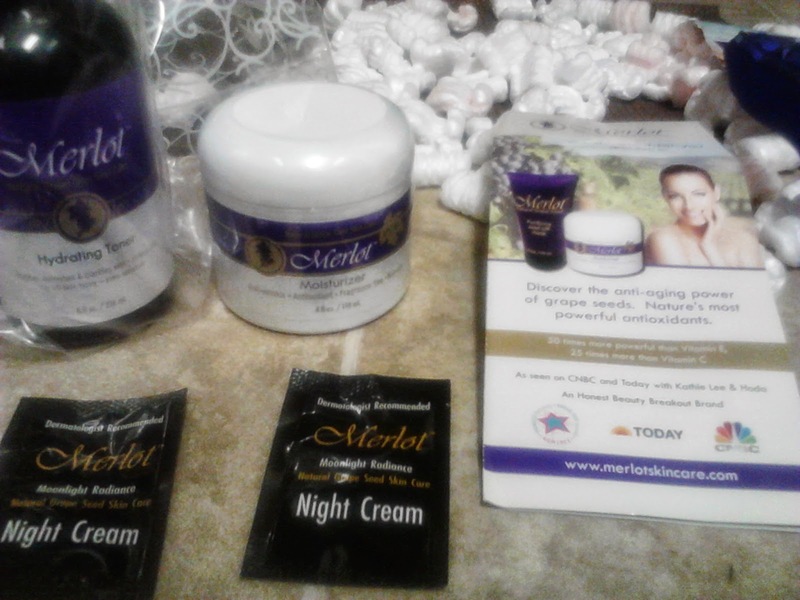 I was surprise the post man handed me a box with Merlot skin care I am also glad that they given the opportunity to review their product in my honest opinion. I found out that ingredients comes from grape seed which make use of natural antioxidants and anti-aging. Anti-aging SPF 15, it Fragrance free and non oily. I love that the moisturizer contains the moisturizer worked better than I expected and it also left my face with a nice glow. I absolutely love it a little goes a long way and you do not need to use a lot to cover your face this is nice. Don't forget to like their page at facebook or subscribe their newsletter. Merlot looks like a good quality product! I have heard lots of good stuff about this skin care product. That's good that your skin is not sensitive to it. 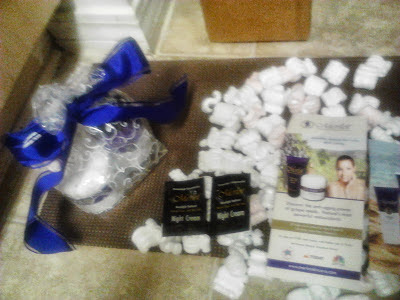 I like their products, it smells good and it makes your skin feel so good.